We are there for you in your time of need. Copyright © 2011 Legacy Cremation Services, LLC All rights reserved. When a love one passes, the family is confronted with important decisions that must be made quickly. This is very difficult during a time of loss. For those left behind we are here to offer guidance and lend support to each family to make choosing the most appropriate burial options as simple as possible. Legacy Cremation Services will make sure on funeral day every detail will happen as planned and as your loved one would have wanted. 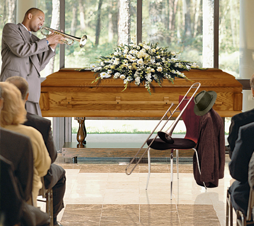 Everyone has a different idea of what a funeral consists of. Planning funerals are very important. For all who attend, funerals provide the main focal point from which the healing process begins. Memorial services provide a place for family and friends to gather, reminisce, lend support, and celebrate a beautiful life lived as well as to give a final farewell to their loved one. Our professionals are here to assist you in understanding which burial options will best suit your loved one's wishes and personality. Our staff is available 24 hours-a-day for your convenience; so please don't hesitate to contact our firm at any time. When learning about the different burial options available do not limit your search to just one particular funeral home because you may risk paying more than necessary for the services. Comparison shopping for funeral arrangements need not be difficult, especially because it can be done from the comfort of your home by searching the internet for the many different available burial options. The "Funeral Rule" requires the funeral provider to provide itemized pricing for all funeral services and merchandise made available to the consumer. In addition, many funeral homes are happy to mail you their general price list and company information upon request. When comparing prices for funerals, be sure to consider the total cost of all items together. Keep in mind that cemetery fees are separate additional charges. A few burial options to consider are: "Traditional Burial": This type of funeral usually will include embalming for a viewing or visitation and a formal funeral service, casket and burial vault selection, transportation by hearse in procession to the cemetery, burial plot, or mausoleum. "Immediate Burial": This type of burial does not involve a formal viewing or visitation therefore, embalming is not a requirement. A simple burial container/casket and vault are usually selected which is much more affordable then a formal casket which may be selected for an elaborate visitation. Families can choose to have an informal gathering at the cemetery. This is called a graveside service. As a general rule, a direct burial usually costs substantially less than a traditional burial. We are devoted to the families we serve. It is our goal to professionally and personally serve each family as our own. We maintain the highest quality of service at the lowest possible price. Take time to view our burial options as well as our vast collection of funeral merchandise. 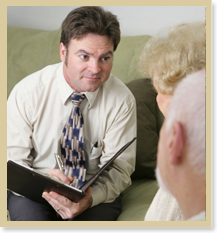 Whether you need our assistance prior to the funeral or afterwards for emotional support; we are here to lend a hand. Our professional staff and directors want to accommodate you in any way possible. If you are inquiring about burial options for a loved one please don't hesitate to contact our firm. Contact us by phone at 1-877-615-3030 or using our contact form.